The Kyoto Machiya Beer Brewery is located South of the imperial palace on Sakai-machi Dori just north of Nijyou, and is currently surrounded by many apartment buildings. It’s here they started brewing local beer in 1997. 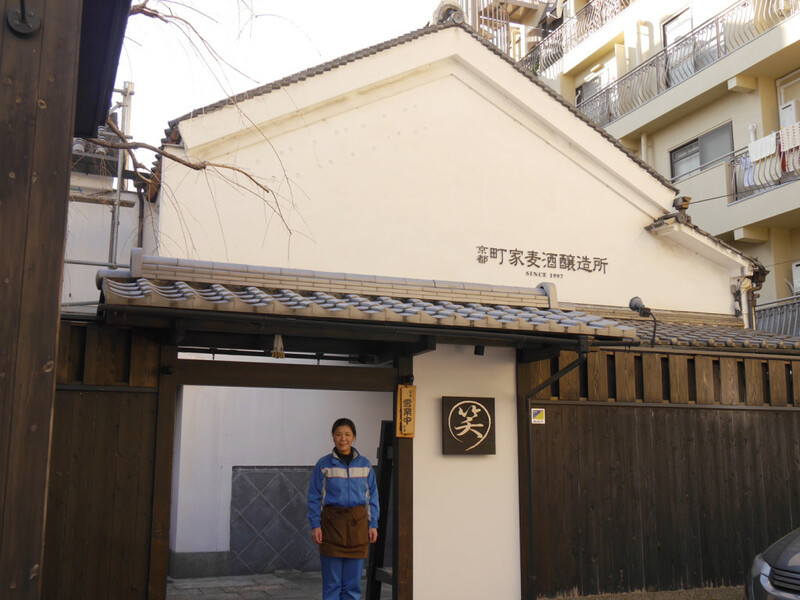 Before that, the Horino Memorial Museum where it is located was opened to the public by sake brewery Kinshimasamune, upon a request from Kyoto as part of the city’s 1200 year celebrations. In the Horino Memorial Museum is the famous spring, Momonoi; its water has been used in brewing since the Temmei era (1781-1789), and even now it gushes forth about 3 tonnes every hour. The decision to make a local beer brewery was made in 1995 with the deregulation of laws. 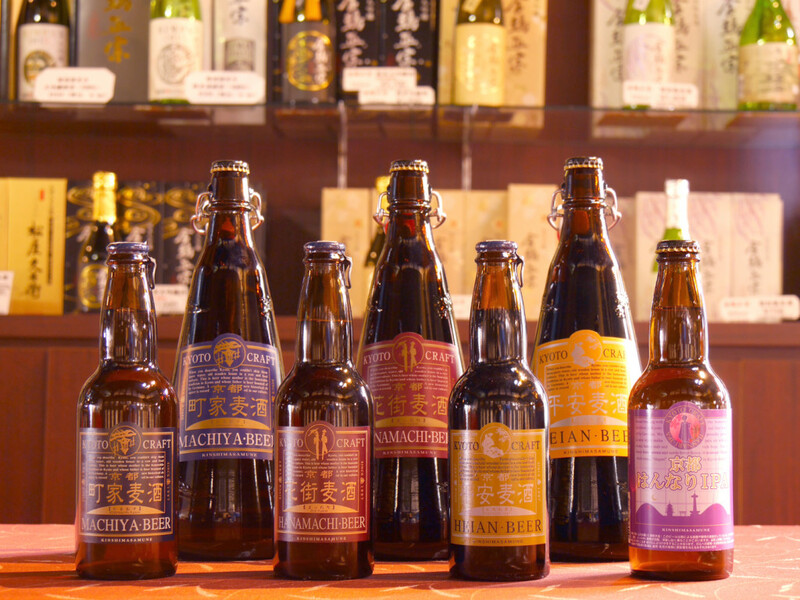 Since establishment in 1997, Kyoto Machiya has continued to observe the genuine German beer code, and has been brewing beer with only malt, hops and water. The beer is brewed in the thick-walled, former nihonshu warehouse, and the lineup consists of a regular Kölsh type beer from Cologne and an Alt style from Dusseldorf in Germany; there’s also an English dry stout and a non-alchoholic beer with limited seasonal brews in addition. Please try these amiable tasting beers using the renowed water from the Momonoi spring; they’re brewed by a female beer crafter. She’s always brewed and wants to continue brewing beers that’ll have you reccomending them to others, just like her beer-brewing predecessors in Germany did with local beers from all over the country.